This summer, a wave of restrictions on plastic drinking straws swept through legislatures and councils in California, New York City, and Seattle; even private companies like Starbucks are taking a stand on plastic straws—the beverage giant is planning to phase them out of their stores entirely by 2020. While there’s been some controversy surrounding these policies, the underlying idea behind such measures—that we use far too many disposable, non-recyclable goods and should try to cut back wherever we can—isn’t new. Since 2007, cities and states across the US, joined most recently by Anchorage, Alaska last week, have either taxed or banned the use of single-use shopping bags altogether. And while we don’t yet know whether plastic straw bans will end up achieving their desired impact, we do have robust research on how bag taxes change whether people decide to use disposable bags. The latest research is the result of our collaboration with researchers from the University of Chicago and New York University, a team that’s been working with the city of Chicago to measure the effects of its 7-cent tax on disposable paper and plastic bags. The tax was passed in November of 2016, and the City wanted to know whether it would actually encourage people cut down on disposable bag use. Would they use fewer disposable bags? Would they use more reusable bags? Would they just stop using bags altogether or bring their own? To do this, we looked at what kinds of bags (if any) people used at large chain grocery stores in Chicago before and after the tax went into effect. We then compared that usage over time to stores just outside Chicago city limits, which weren’t directly impacted by the tax. When we crunched the numbers a few months after the tax went into effect, we found that average disposable bag use dropped an impressive 42%—quite promising, and even poetic, given our name! We were then curious about whether those effects would hold up over time—and for the most part, they did. We just wrapped up a longer-term follow-up analysis, and we’re finding pretty much the same effects a year out. Because of the tax, fewer people in Chicago are using disposable bags, and more people are either using reusable bags or going ‘bagless’—though the changes in the number of bags used per person per shopping trip have diminished a bit over time. “But wait!” you might be thinking right now. “I thought this whole ‘behavioral science’ approach was all about nudges! Taxes aren’t nudges, they’re incentives!” And you might be right—but only slightly. Here’s why: even if we concede that a tax is not, in fact, a nudge, but a tool from the more traditional economic approach, behavioral science is about so much more than nudges. At ideas42, a core part of our methodology to solve social problems involves unearthing the underlying reasons why people act the way they do, and designing solutions that address those underlying reasons. Those solutions could be traditional nudges, but they can (and often do) also take the form of other innovations, such as developing a behaviorally informed curriculum for reducing recidivism among youth, a family literacy program, or a financial health check. In the realm of policy, applying behavioral insights (even if they’re not nudges) has a high potential for impact. Since a policy that tries to change people’s behavior will be most effective when it accounts for how people actually behave in the real world, this just makes sense. For example, a potential, traditional strategy to help discourage disposable bag use could be offering small incentives in the form of credits for every reusable bag that customers use at checkout. However, we know from research on loss aversion that these types of policies probably won’t be as effective as charging fees for using disposable bags. 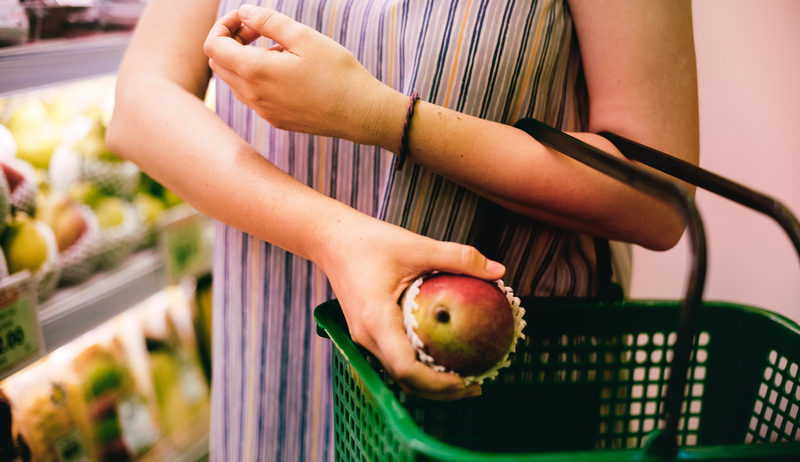 Because of our tendency to overvalue losses over equivalent gains, people are happier to avoid paying 7 cents for a disposable bag than they are to receive 7 cents for using a reusable bag. In the case of Chicago’s bag tax, there are three mechanisms that we think make it even more effective than traditional economics might predict: as a direct tax, it’s noticeable (and got lots of press), it taps into our natural loss aversion and dislike of paying for things that used to be free, and it sets the stage for long-term behavior change by creating new bag use habits. While we didn’t try to measure the individual effects of each of those mechanisms, we do know that overall, the tax managed to change people’s behavior in the right direction. What this shows is that when human behavior is taken into account in policy development, it’s possible to have measurable impact on that behavior. Those insights can then serve as the foundation for building on and incorporating into future work (and could be useful for budding plastic straw bans). Of course, this is just one of many strategies that will be needed in the larger effort to design policies and habits that are more environmentally friendly. As we continue to experiment with different ways to protect our planet’s environment, we need to keep pushing for rigorous evaluations of the effects of these interventions so that we know definitively what works and what doesn’t. This is an early step, and there’s still much more work to be done—while we’re getting closer, we don’t have it in the bag just yet.